This universal Veribor® suction lifter is suitable for a broad range of applications, whether for fixing mounting aids and templates or for fixing cameras to vehicles, there are no limits to the user´s demands. 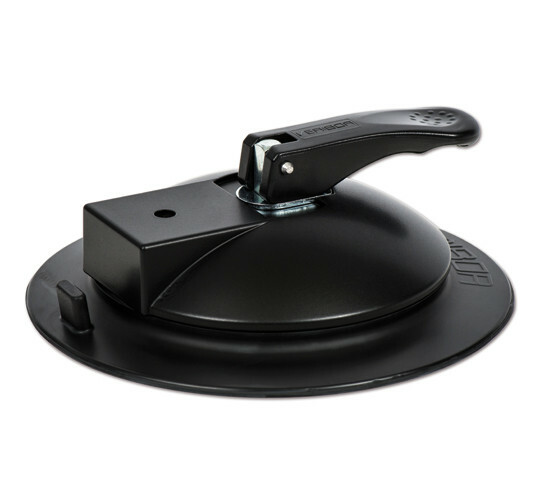 The 150 mm rubber pad enables fixing also to more strongly curved or slightly structured surfaces. The integrated vacuum gauge offers additional visible safety for the operator. Of course, the device is optionally also available without vacuum gauge (BO 600.215). If the mentioned rubber pads do not fit your requirements, please don´t hesitate to contact us. Our range of products includes further rubber pads which can be used together with this lifter.